How Much Do You Really Know About the Ribs the Whole World Sings About? When guests worldwide hear the name, Chili’s® Grill & Bar, the first reaction is usually to sing “I want my baby back, baby back, I want my baby back, baby back, baby back...Chiiilliiiis baby baaack riiibbs!” The famous jingle ties back to the brand’s 30-year history and expertise in slow cooking Baby Back Ribs in house to perfection. Now that you’ll be humming the tune all day, here are some little known facts on what makes Chili’s Baby Back Ribs special. Chili’s Baby Back Ribs were first introduced to the menu in 1986. To celebrate Chili’s rich history of Baby Back Ribs, the brand is offering guests a Baby Back Bonus, which includes a half rack of Baby Back Ribs served with homestyle fries, a side salad and a mini Molten for $10.99. Guests can add an additional half rack for $6 and upgrade to any full-size dessert for $2 more. 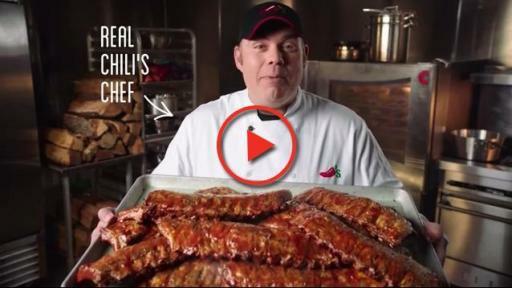 Follow the brand on social to see and share celebratory ribs photos using #ChilisRibs. Now, for this milestone year, Chili’s is bringing back the jingle with a new TV commercial featuring Chili’s Chef Jason Amell, musicians, song writers and guests. In 2016, the brand also re-did the jingle in emoji form - watch it here.